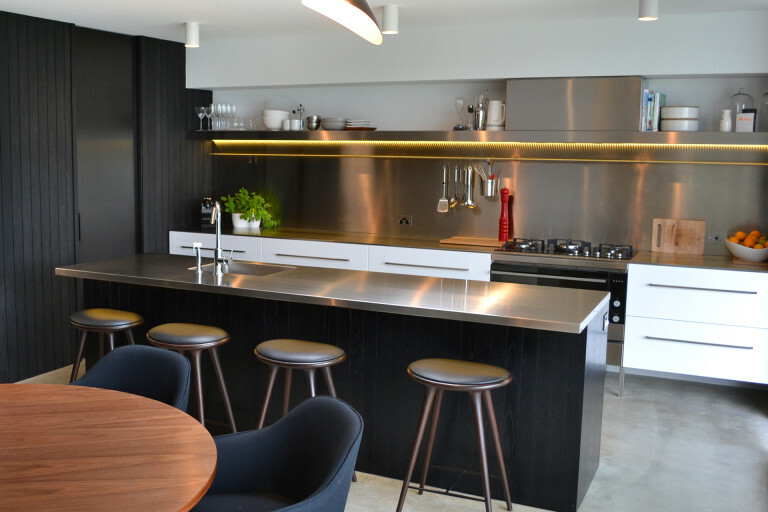 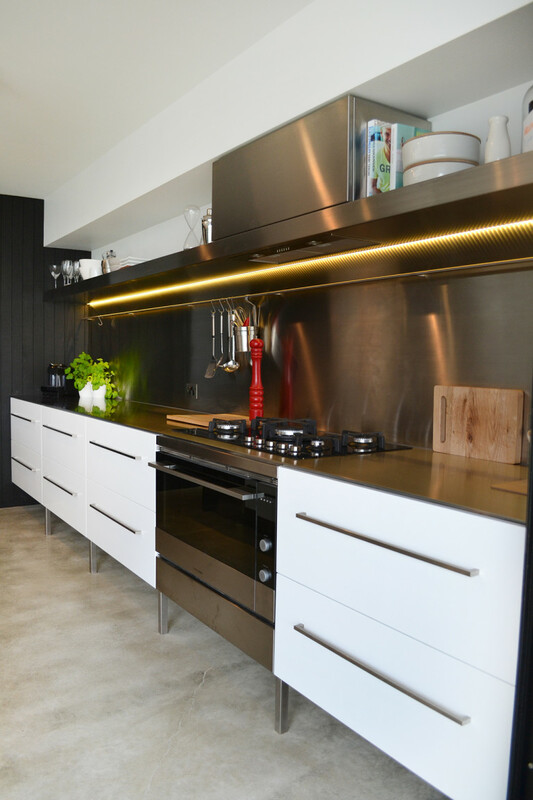 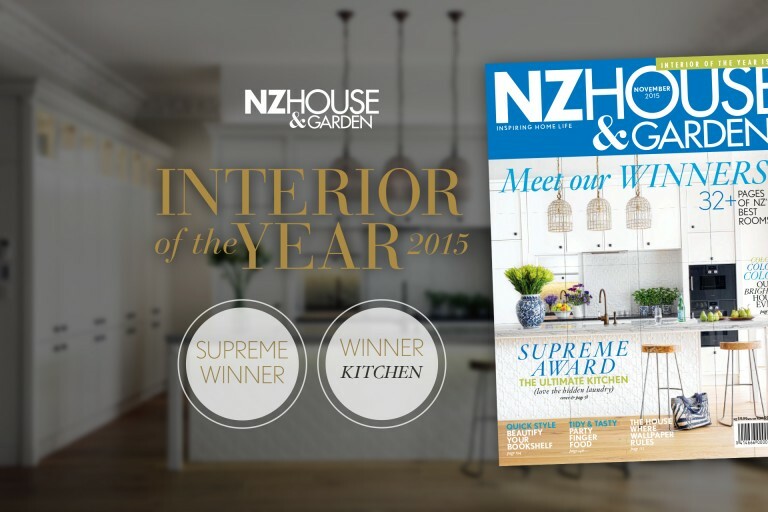 This architecturally designed kitchen by Andrew Meiring boasts superior stainless steel work, coupled with dark stained wood and white cabinets to give it a contemporary feel. 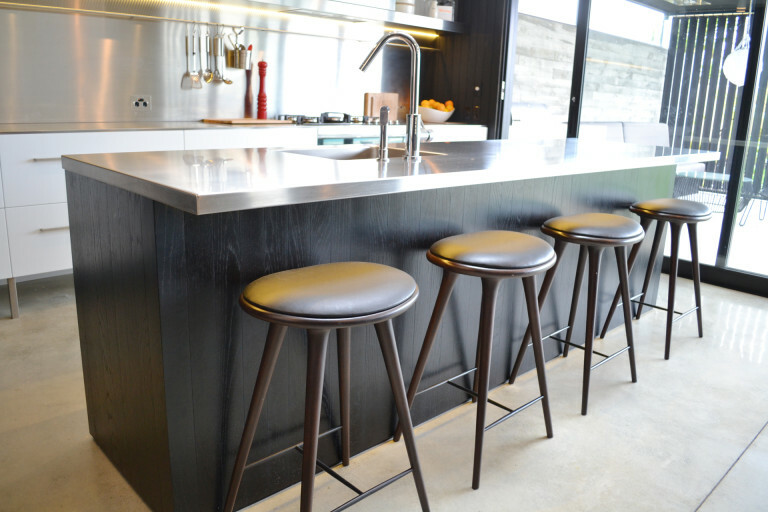 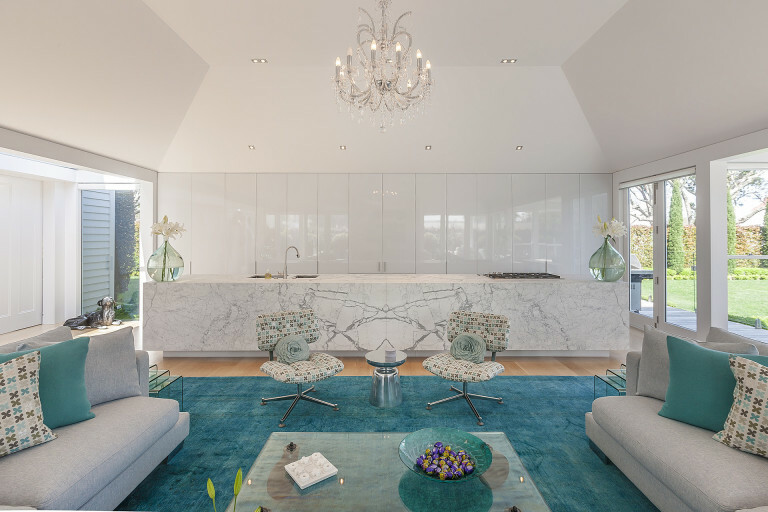 Form Design manufactured the cabinets to Andrew’s design, which includes stainless steel legs to give it the appearance of floating. 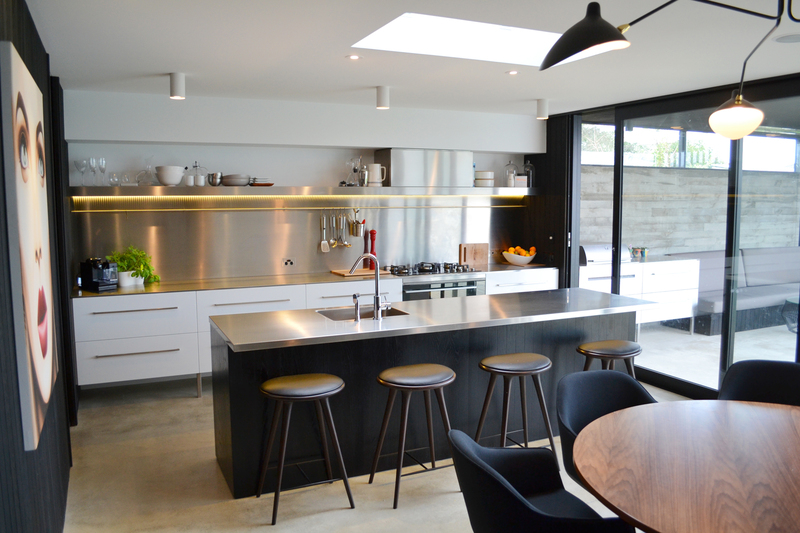 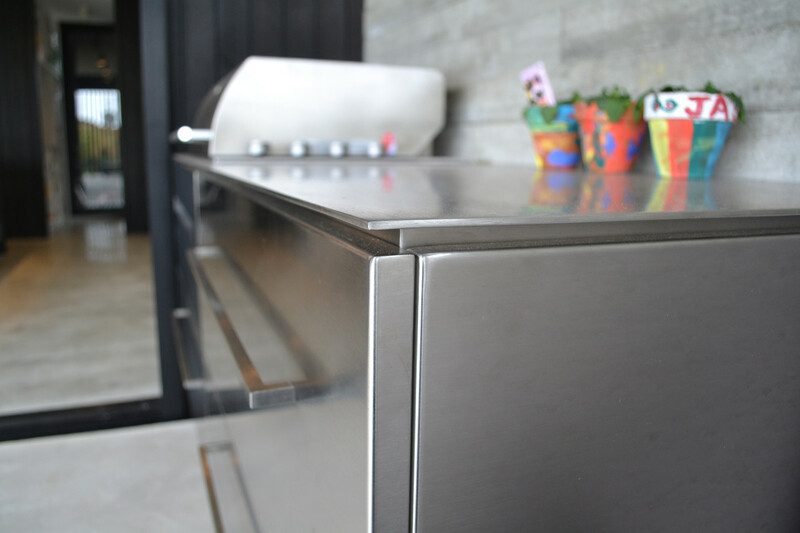 Other stainless steel elements included a long splash back that cleverly hides the rangehood and a benchtop that is 5mm thick. 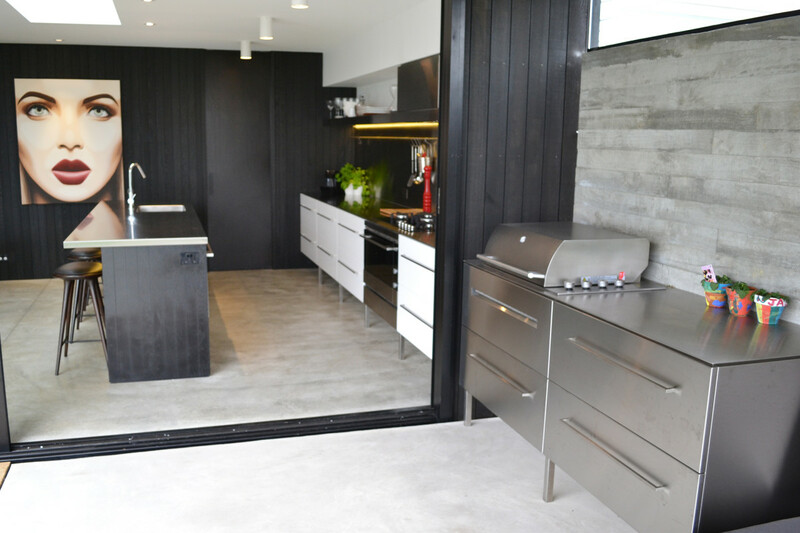 The kitchen detail extends through to the barbecue area. 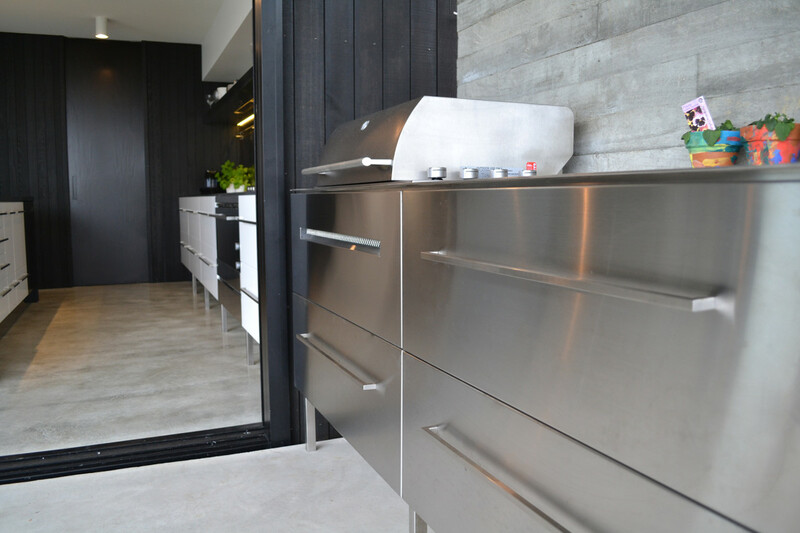 It includes a custom made grill for ventilation while the cabinet is covered completely in stainless steel. 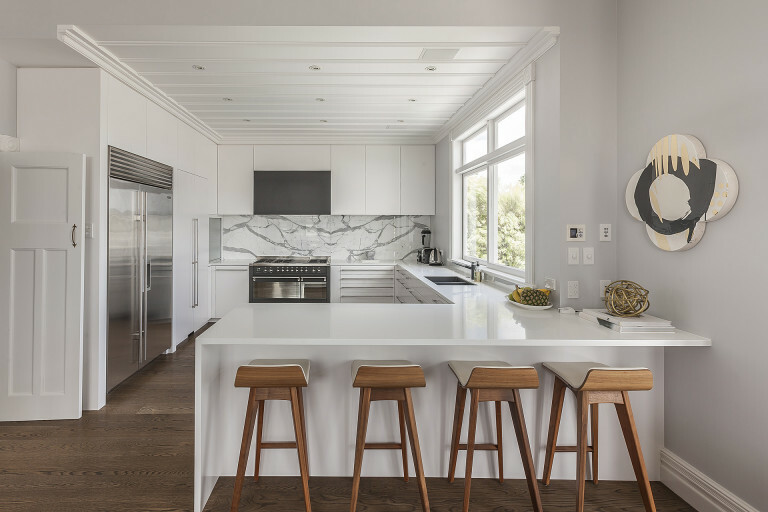 The internal cabinetry doors use a Dezignatek high gloss white shrinkwrapped thermo plastic product to give it a robust and beautiful finish.